February 2019: The Ivy Dawson Street has collaborated with renowned Irish fashion designer Paul Costelloe to create a rugby shirt to honour this year’s Six Nations Championships. 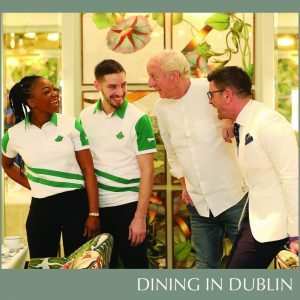 The striking green and white design adorned with an Ivy leaf and Paul Costelloe’s fox motif will be worn by all waiters and waitresses at the restaurant on tournament match days to support the Irish team and will them to win. Taking inspiration from Paul’s design and the Six Nations itself, The Ivy Dawson Street has also whipped up a delicious dessert for guests to enjoy on all match days. 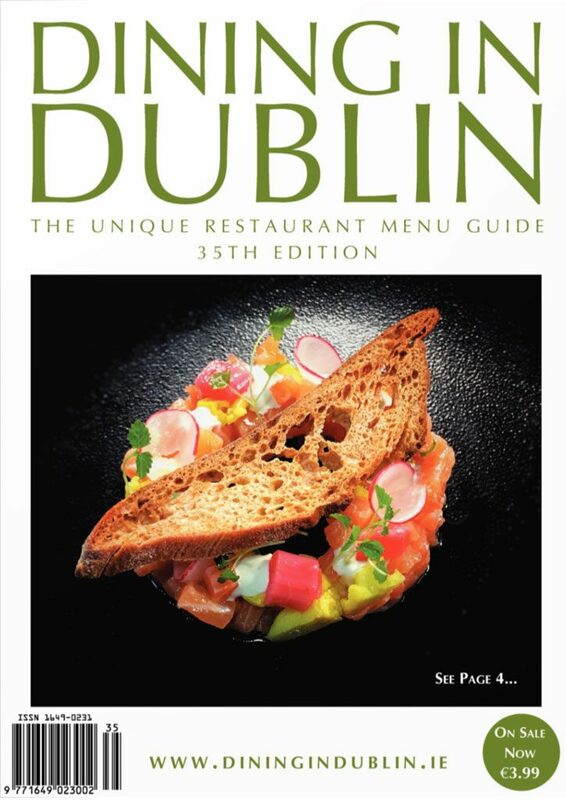 ‘Over the Line’ will feature a delicious chocolate ganache in the shape of a rugby ball, with mint mousse, vanilla ice cream and chocolate sauce (€10.95). The Ivy Dawson Street’s collaboration with Paul Costelloe will continue until Saturday, 16 March.